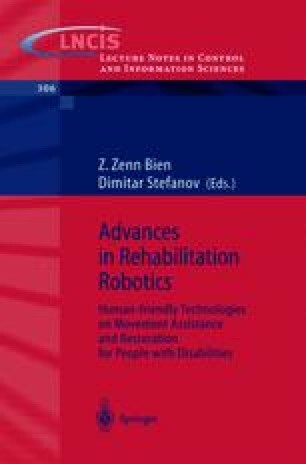 Rehabilitation robots (RR) are expected to play an important role toward the independent life of older persons and persons with disabilities. Such intelligent devices, embedded into the home environment, can provide the resident with 24-hour movement assistance. Modern home-installed robots tend to be not only physically versatile in functionality but also emotionally human-friendly, i.e. they may be able to perform their functions without disturbing the user and without causing him/her any pain, inconvenience, or movement restriction, instead possibly providing him/her with comfort and pleasure. This paper analyzes the main categories of RR. The paper will then discuss some important issues of the future development of an intelligent residential space with a human-friendly rehabilitation robots integrated with it.